Are you looking for a Relief Society midweek activity that will appeal to a diverse group of women? How about offering a night of making a selection of home made household products that everyone uses? Touted as cheaper and healthier than the toxin laden store products we've all used forever and gotten dependent on - but we never get around to making, this could be a great thing to do together as a group! By buying the materials in bulk for a group, you will save even more money than if you just did it at home alone - and have a fun time an plenty of socializing by doing it together! I am on the mailing list of lots of health related blogs and I read this article about fabric softeners today, because I've been avoiding store bought fabric softeners but am unhappy with all the static in my clothes now! 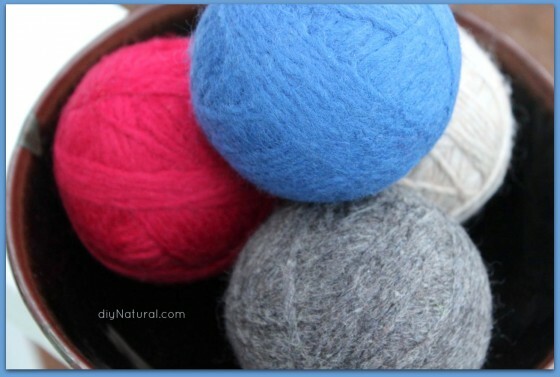 I really liked the concept and these instructions because instead of buying expensive wool yarn for the entire ball, you can use thrift store wool sweaters for the inner base of your ball - and if you have cut up a sweater for a couple balls for yourself - what are you going to do with the rest of a cut up sweater??? Might as well do it with a friend! There are tons of blogs and YouTube videos for DIY healthy household products, so ask around your ward what people would be most interested in. If there is a sister (or sisters) in your ward who already makes her own household products, this might be a great chance to have her share her knowledge and experience with the group!